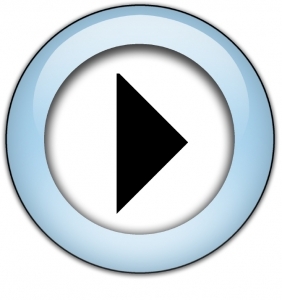 Businesses have been employing videos on their websites for years. Unfortunately, many emphasized flashy technology over serving a real and valid purpose. A mini-documentary that tells the story of your company can be a great way to show your customers who you are and what you stand for, but how many of them will take the time to watch it? Using video effectively means giving careful thought to why people are coming to your website in the first place. The web puts the world’s knowledge at our fingertips. No one wants to wait around for a phone call or an email. We crave quick responses, clear answers, and comprehensive, useful information. So, move past the well-worn “about us” video and explore more ways to employ video with your Calgary website design to serve your customers better. Do you have a product that solves a problem or meets a need in an innovative way? Building a video around your solution is a great way to show customers what your product can do. For more complex products, create one overview video and others that explain the standout features. If you had any doubts about the effectiveness of product videos, consider this tidbit from Small Business Trends: in 2009 Zappos learned that by putting videos on product pages, they could increase sales by as much as 30%. Search engines recognize and rank videos, so they are a great way to bring customers directly to your site with keywords. We’ve got Five SEO for Video Tips for you in our Resource Centre. Post-sale videos can keep your clients coming back for more. Video allows you to speak directly to common questions. They are also more effective than manuals or diagrams. Why add to frustration by making people wait for answers via email, when you can post their answer – in action – on your site? Building a library of brief how-tos and troubleshooting videos can develop customer loyalty and save your customer service representatives time. When your Calgary clients know your website design offers quick and easy answers, they’ll return again and again. These types of videos can also be great resources for your staff, allowing them to easily direct customers to the answers they need. How-to videos also allow you to standardize employee training. You might even create a staff section of your site that includes training videos, sales strategies, and tips. When so many people in Calgary have video capabilities built right into their smartphones, why not make it easy for them to post videos about your products? Customer testimonials have been around for years, but the old fashioned approach of using simple words and pictures can never be as effective as seeing a customer’s face and hearing the emotion in their voice as they tell the world how much they rely on your products and trusts your employees. Incorporating video testimonials into your website design allow you to advertise your products and services without having to do all the talking yourself. Why spend your marketing dollars on radio or TV ads when you can let your customers brag about their experiences in their own voice right from your own site? Many larger brands build entire marketing campaigns around customer testimonials. Product reviews are a growing trend on YouTube, and social media is a great way to get the word out. Don’t let another site get all the traffic when a customer has something positive to say about one of your products. Marketing your products and services with videos on your website is a great way to inform, educate, and excite your existing and future customers. Let the team at Calgary’s Emphasize Design create a website design that will convert leads into customers who keep coming back. Visit us to learn more about the full range of services we offer.